I’ve got a secret. 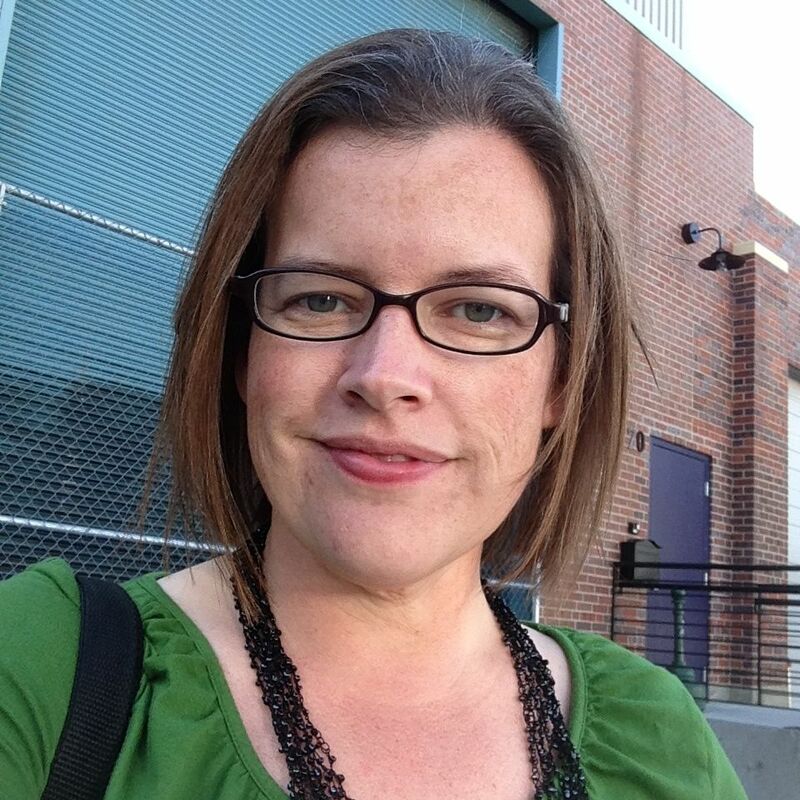 A superpower, if you will – although it makes me feel anything but super. I am… The Breakfast Skipper. 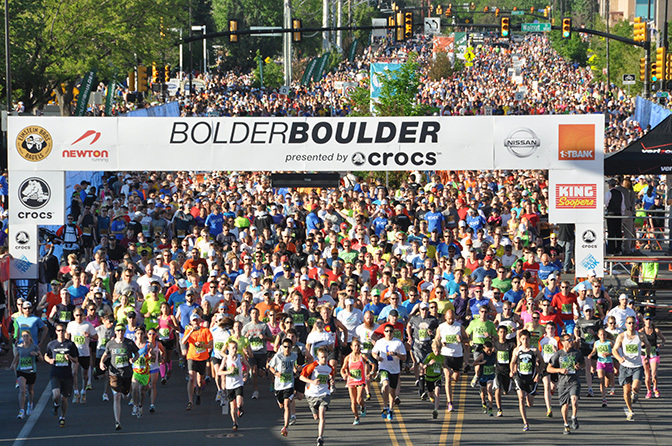 Our morning routine is pretty tight, and in the three (yes, three!) hours from the time I wake up until the time we head out the door to daycare and work, there’s not much time to make myself a little breakfast. 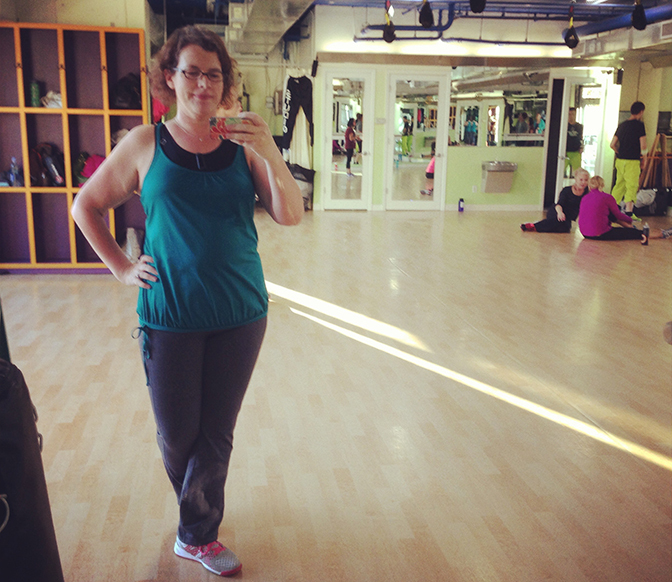 This definitely ties in to Goal #1 on my list for 2014 – I need to clean up my diet. Luckily, Vega’s Vega One vegan protein powders can help me prepare a quick breakfast (that I can actually eat, thanks to my band and its morning tightness). 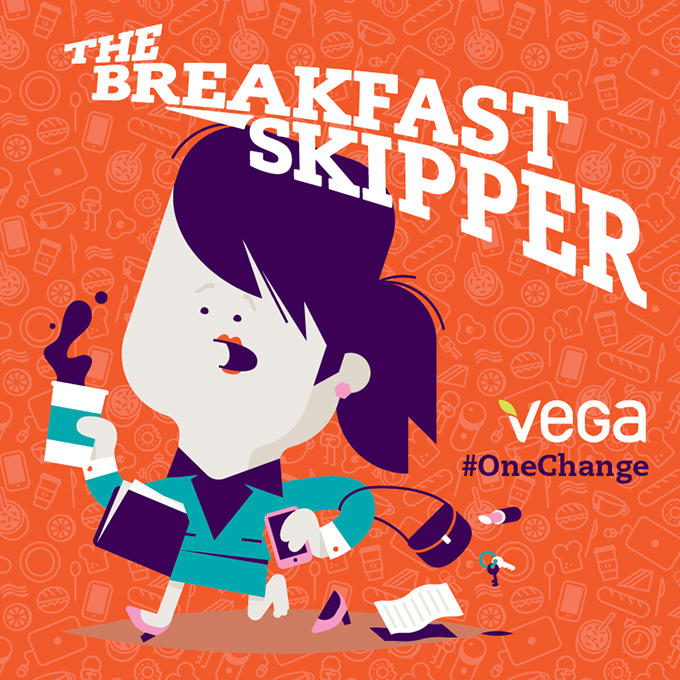 By making #OneChange every morning and using Vega’s shakes and powders, I can make sure to get all the nutrients I need to start my day off right and head out the door with energy to spare. Vega sent me some samples of their Vega One French Vanilla shakes to try out, and they couldn’t have come at a more perfect time. This week we’re in California, visiting family and friends before we head to Disneyland for the Tinker Bell Half Marathon weekend, so it was easy to toss some single-serve packets in my suitcase before we hit the road. If something is a challenge, especially in the morning, the odds of it getting done are slim. Keeping fresh fruit around is always a risk because it goes bad before I have a chance to use it (or it gets buried in the back of our fridge and becomes a science experiement we discover weeks or months later). 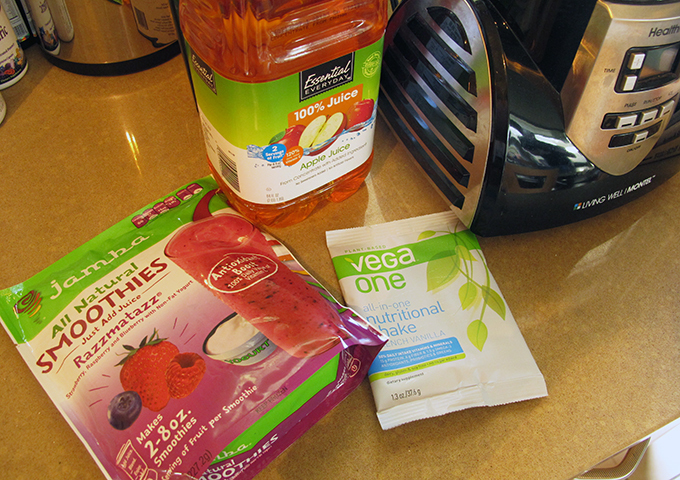 Traveling adds to the challenge of breakfast prep, so I went the easiest route possible – I grabbed some frozen smoothie mixes and juice into which I could add the Vega One shake mix. I’m also not terribly concerned about calories or sugar, as you can tell (although this smoothie mix isn’t too bad, with 60 calories and 10g of sugar per serving when prepared with 100% apple juice) – the important thing for me is to get a good amount of protein so I stay full until lunch and have energy to make it through the day. Each single-serve shake mix has 15 grams of protein and 50% of my daily recommended intake of vitamins and minerals, in addition to a healthy amount of fiber and Omega-3 fatty acids. In literally 30 seconds, I had all the ingredients for my smoothie assembled and mixed – no measuring, no cutting, no washing. Just dumping and pouring. Looks tasty, doesn’t it? 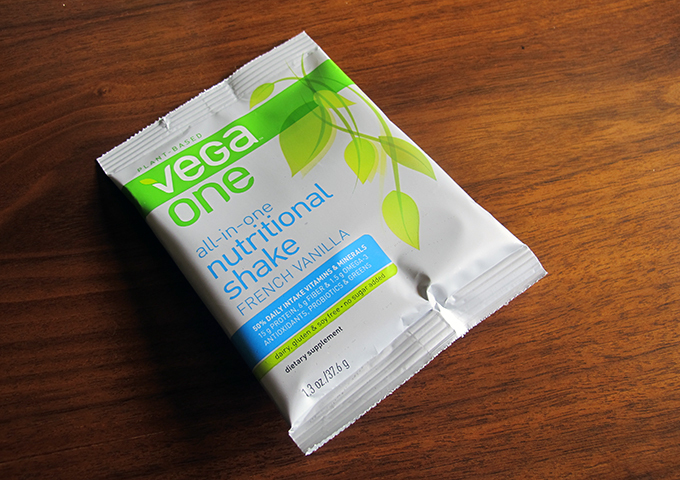 The Vega One shake mix has a little bit of a green tint to it, probably because it’s a great plant-based protein source. 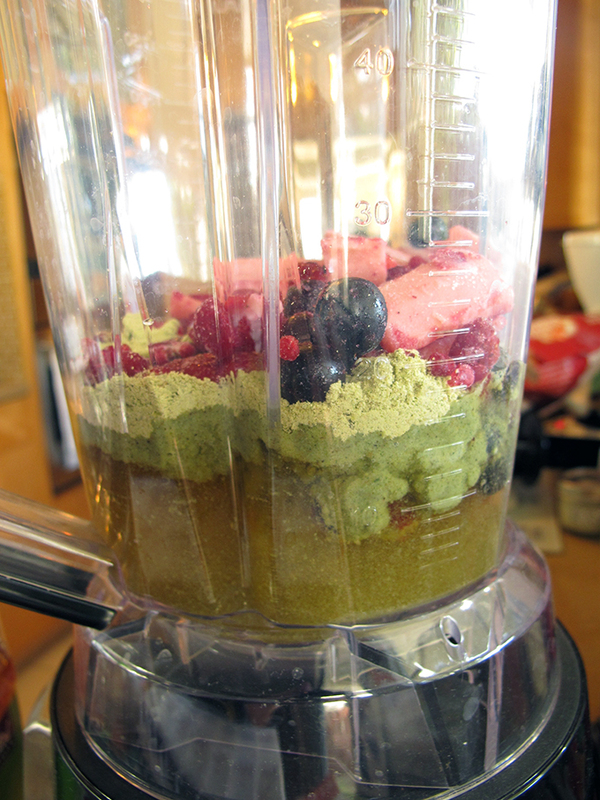 Twenty seconds of blending on low (or pulse) later, and my smoothie was done. Not bad for under a minute! And it was especially yummy (be sure to add a little extra juice than the smoothie mix calls for to keep the shake mix from thickening it up too much). I also ended up with enough smoothie to share some with Jason, who was heading out on a little morning run. Bonus! And the shake mix just added a touch of vanilla flavor to my fruity smoothie, making it taste even more like a treat – but one that would satisfy me for hours. What’s your #OneChange eating profile? I think I am the Serial Snacker. I really wish the snacks in my pantry would not call my name. It’s so hard not to answer. I’ve never been a breakfast eater, either. Shakes are a great idea, though! I fight daily on having a good breakfast. I may never leave the house. I may make breakfast for the kids but I never eat it myself. 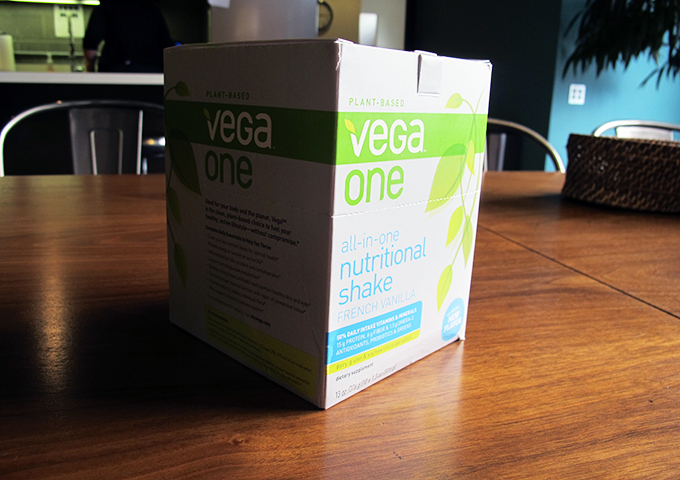 The Vega packs sound great though in getting all my dietary needs met. I want to switch over to a smoothie breakfast. I just got my hands on a really awesome blender and can’t wait to try it out. We want to start a smoothie breakfast diet soon!! I skip breakfast and also lunch. Such a bad habit! Especially since I tend to shed pounds when I make an effort to eat better. I have tried these before. Love them, too! I am so bad about eating breakfast, but this would help me to start my day right. I would love to add those to my smoothies, thanks for the heads up! I’m a smoothie lover and this sounds like the perfect nutrition boost to mine! I LOVE smoothies, and I am excited to try this one after reading that it is allergy safe! Protein is an area I struggle with. I am not a huge meat/eggs eater and I know I need to add more but I can’t handle soy shakes. I am heading over to check these out. 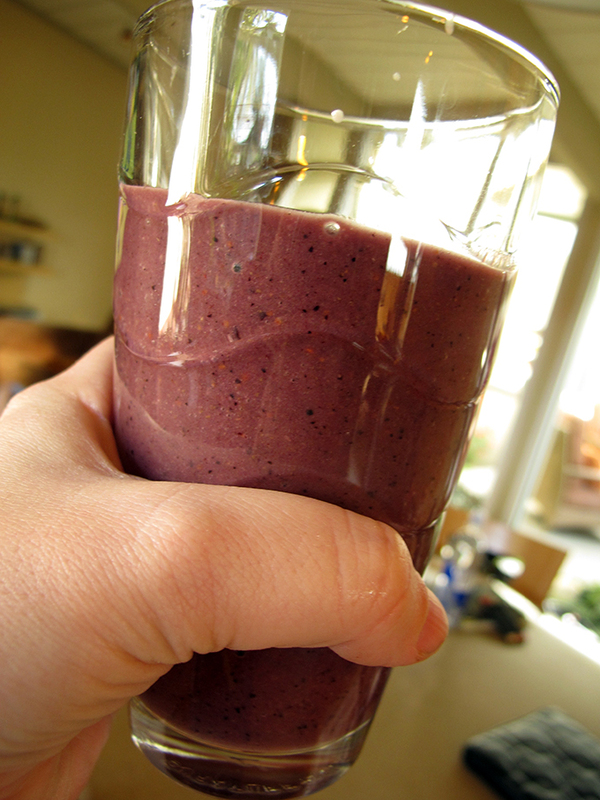 Love super healthy breakfast smoothie like this, wondering if the supplement altered the taste of the drink. I’ll definitely have to try this, it looks fantastic! I have heard people talking about this. It is nice you can mix it in with a smoothie to help hide it!! I’ve never tried Vega before. 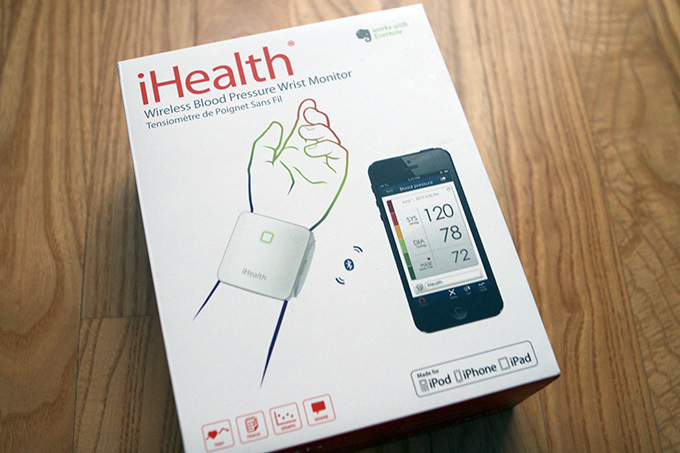 It looks like a good healthy alternative to most of the junk on the market. I can’t live without breakfast. One thing I must change is how much water I drink. I keep forgetting to drink it and then later in the day I feel sick to my stomach. Problem is when I try to make up for it in the afternoon I’m up all night in the bathroom and it ruins the next day! I like adding something green to my smoothies too! I have not tried Vega but I will look for it.